Having already appointed two architects previously who had been unable to obtain planning permission our clients appointed turned to us. 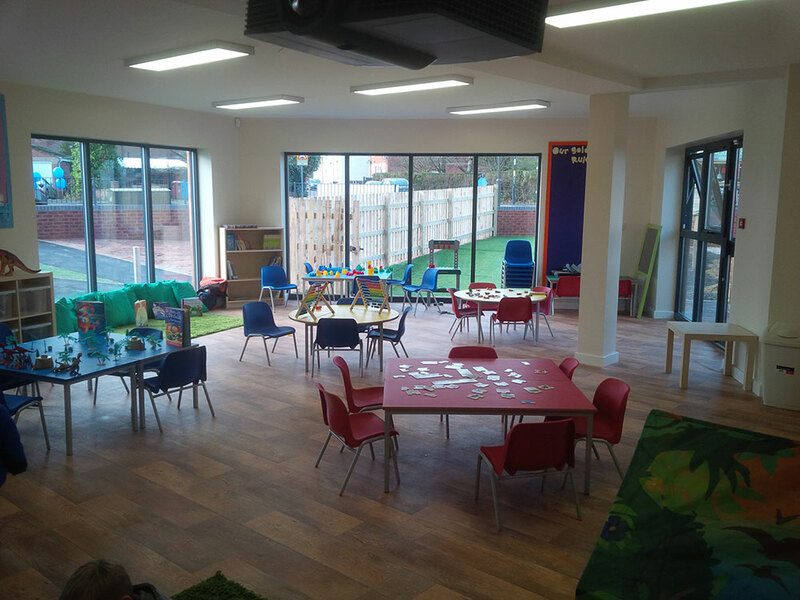 We were tasked with the challenge to produce an appropriate Architectural concept for an extension to an existing house that that would provide the nursery with sufficient space whilst being acceptable to the local planning department. 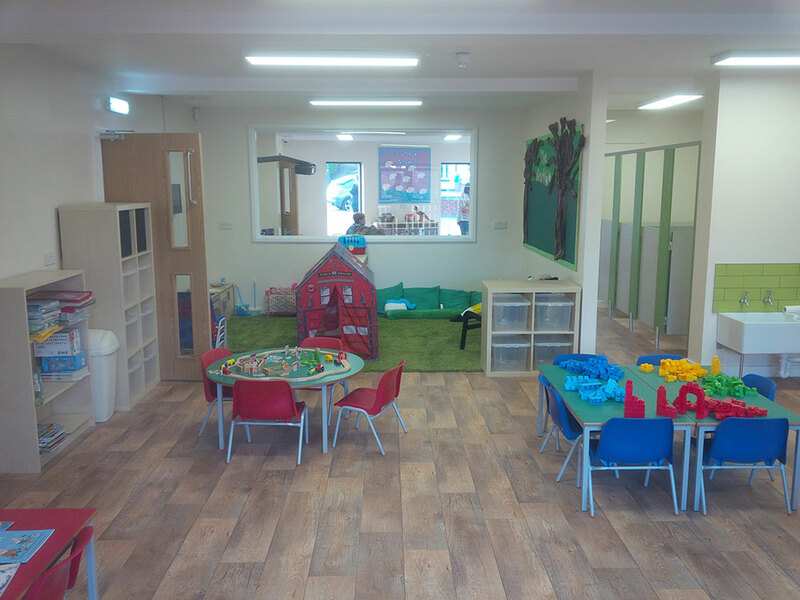 Following discussions with the local planning officers it was clear that given the sites prominent location on the corner of the village green, the nursery needed to remain open and inviting to the surrounding area and also had the challenge of interacting with both the green in front and main road to the side. 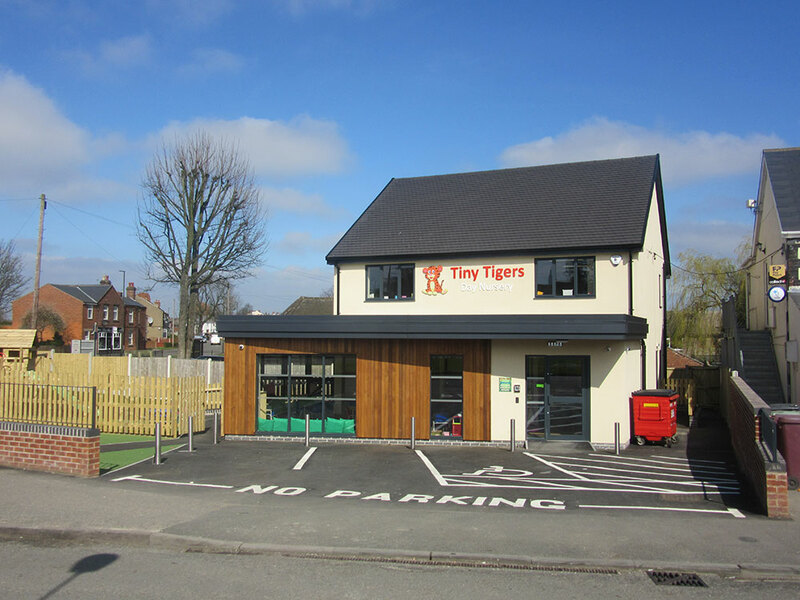 The final solution was to form a two storey extension above the existing bungalow to match the form of the adjacent shop whilst extending forwards with a modern and contemporary timber clad pod to provide additional space. The pod has large glazed screens to provide positive interaction with the green whilst the flat roof allows for an unorthodox shape encouraging positive interaction with the main street (Chesterfield Road) to the side as well. The design was approved by the local planning authority in May 2016. 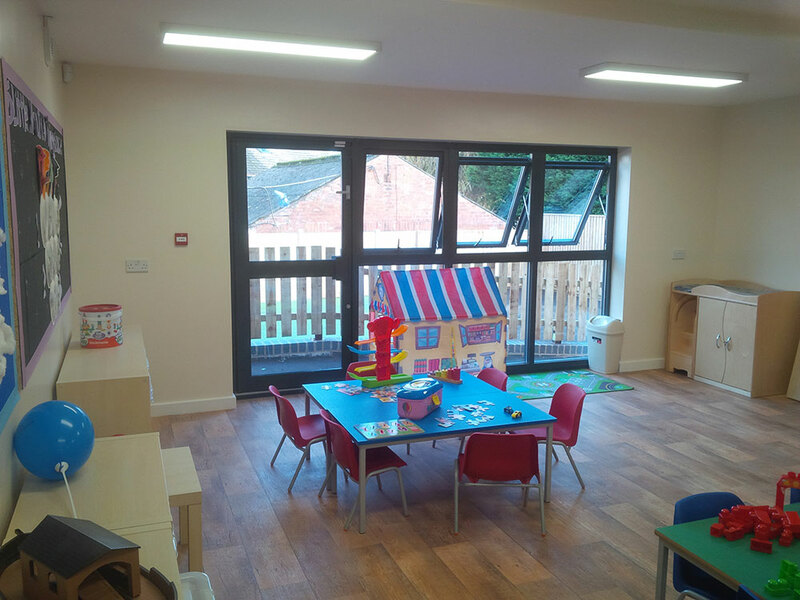 3 separate play rooms for baby, toddler and preschool groups.